BOXING is a cornerstone program of Dallas PAL, with a rich history dating to at least 1961. In the last few years alone, the revitalized Dallas PAL Boxing has taught and mentored hundreds of Dallas area youths. Boxing operates year-round in two locations (see below). The program builds self-esteem, teaches self-control, self-discipline, and perseverance. Boxing helps kids to better manage frustration and aggression that is frequently the hallmark of teenage years. Additionally, Boxing requires participants to develop their critical thinking process, and builds good health practices into a fun filled opportunity that will benefit them for their lifetime. It is a sport that may provide many of the participants the opportunity to advance, earn scholarships, or even earn a position on an Olympic team. Participants who qualify (under USA Boxing Guidelines) travel to sanctioned tournaments around the country throughout the year, which has resulting in several of them becoming nationally ranked. 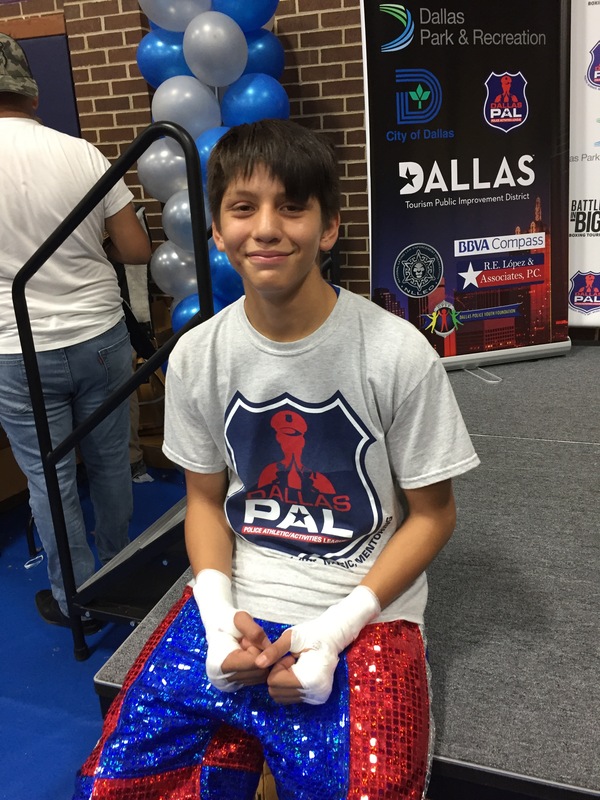 Dallas PAL Boxing kids are 8-18 years of age, both male and female, and practice at four days a week at a minimum year-round. DPD Youth Outreach Unit Officers are on site at Janie C. Turner Recreation Center, three hours a night, four nights a week to train and mentor program participants as they prepare for local, state, and national competitions. At this location is also a cadre of youth who participate in a Boxing Fitness program. These are youth who do not necessarily want to participate in Boxing, but very much enjoy the camaraderie of working out with their peers. These program is operated in partnership with the Dallas Park and Recreation Department (Dallas P&R) who charges $20.00 per month to participate (scholarships are available). The newest PAL Boxing location is the Forest Audelia Boxing Gym. DPD Youth Outreach Unit Officers will be on hand to train youth, both male and female. This gym opened its doors on October 16, 2017 and was a very welcome addition to the PAL Boxing program. This location is also operated in partnership with Dallas Park and Recreation Department. 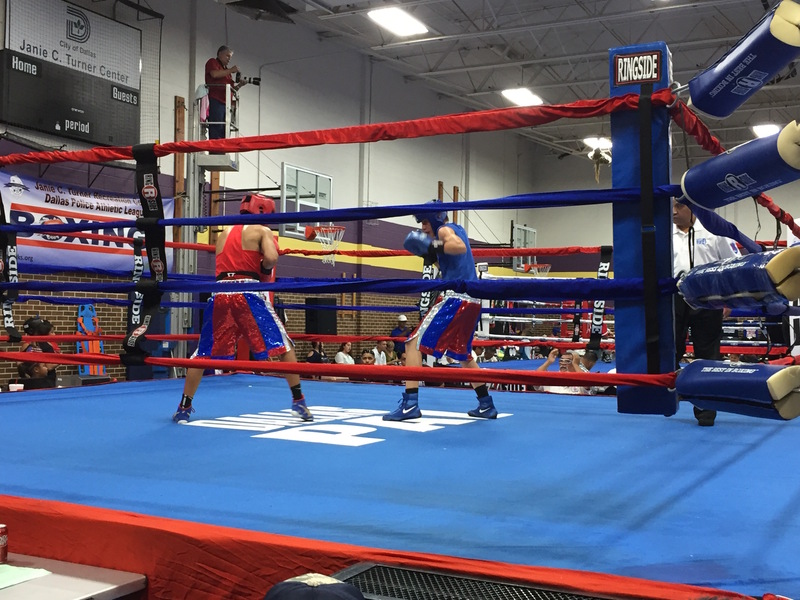 The Battle in Big D Boxing Tournament is an annual event hosted by Dallas PAL and Dallas P&R with support from local charitable organizations. This three-day competition, an official USA Boxing sanctioned event, is a phenomenal draw for some of the country’s best male and female boxers ranging in age from 8 to 18, vying for individual and team honors in the various age and weight divisions. 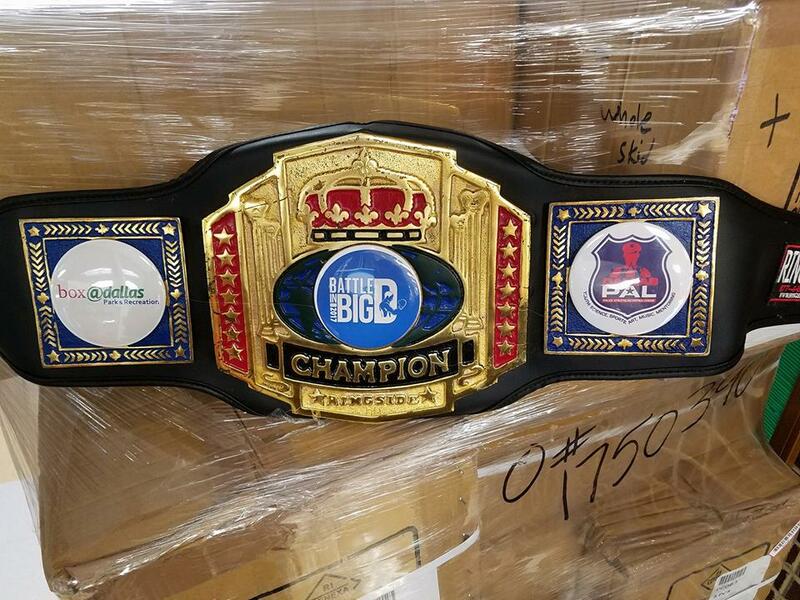 Battle in Big D is known for the eye-catching Ringside Championship Belt awarded the winner in each weight class. Runner-ups are awarded a very respectable medal. The event has grown exponentially since its inception in 2014, growing from one to two rings in 2016, and 2017 saw right at 600 registrants (boxers and coaches) and some 1500 spectators. 2018 will see a move to a much larger venue to accommodate even more competitors! The City of Dallas has much to offer visitors, and the boxers, coaches, officials, their families and boxing enthusiasts clamor to be the first on the list to sign up to attend. The Forest Audelia Boxing Gym was made possible through the efforts of former DPD Deputy Chief Andy Accord, Councilman Adam McGough, and the Apartment Association of Greater Dallas (AAGD). The AAGD donated, recruited, and solicited almost all the materials and expertise to renovate the physical space to serve the many nearby residents, and their efforts on behalf of the youth in the area were incredible. A State of Texas, Criminal Justice Division, Juvenile Justice Local Grant Program Award provided the boxing ring and some of the related boxing program fitness equipment. This is where you can help, as there is still a not-insignificant amount of boxing specific supplies and equipment yet to be acquired.